This is the perfect time of the year to enjoy hot soup! 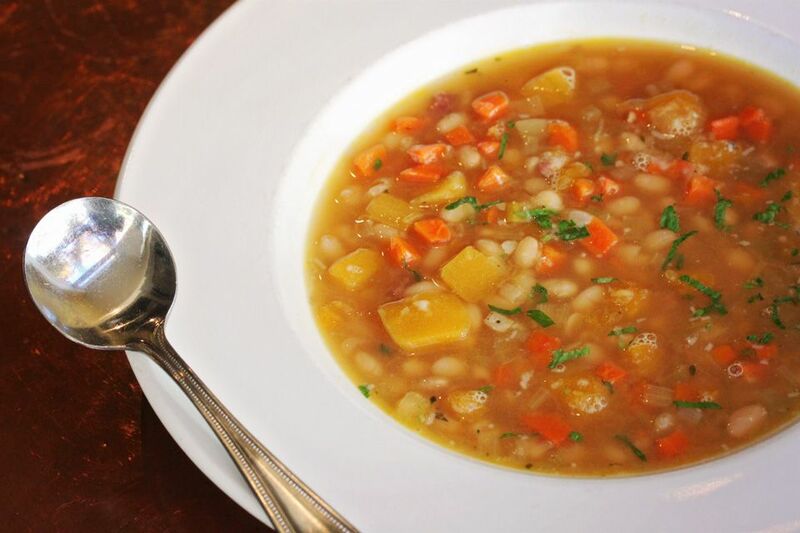 Take advantage of this season’s nutritious and delicious produce by making this hearty vegetable soup. The recipe yields over 64 ounces, so you’ll have plenty to share with others or save for another time! Heat the olive oil in a soup pot and add the pancetta. Cook until it begins to render its fat and add the vegetables, garlic, and sage. Cook for about 15 minutes, then add chicken stock to cover. Bring to a boil and simmer for about 30 minutes. Add the cooked white beans and cook for another 10 minutes or until the squash is very tender.